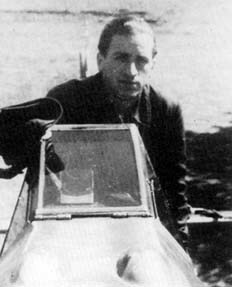 Walter Köhne was serving with JG 52 at the end of 1940. He was assigned to 4./JG 52. Köhne participated in the invasion of Russia. He was badly wounded in June 1941, which required a lengthy recuperation. On his return to operations, he was able to record 12 victories over Russian opponents. On 4 June 1943, Unteroffizier Köhne was transferred to 2./JG 1, based at Deelen in Holland, performing Reichsverteidigung duties. He claimed his first four-engine bomber on 22 June, when he shot down a USAAF B-17 west of Raesfeld. By August, Köhne had transferred to 3./JG 1 and, by the end of 1943, had added an additional five four-engine bombers shot down to raise his victory total to 18. During December, he had returned to 2./JG 1. By February 1944, Feldwebel Köhne was serving with 3./JG 1. He continued his success against USAAF four-engine bombers claiming a further nine shot down during 1944. Additionally, he claimed two USAAF P-47 fighters shot down: one on 6 March; the other on 8 March, to raise his victory total to 29.  In May, Köhne was awarded the Deutsches Kreuz in Gold and promoted to the rank of Leutnant. On 14 July 1944, Köhne was appointed Staffelkapitän of 6./JG 11. On 28 August, he was involved in a collision on the ground when another aircraft rammed his Bf 109 G while landing at Cerfontaines in France. 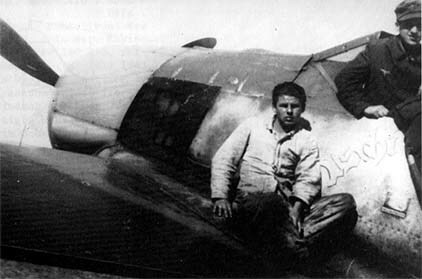 Köhne was shot down in aerial combat with USAAF P-47 fighters on 6 October, but was able to belly-land his Bf 109 G at Bretscheid. He gained his 30th victory on 1 January 1945, when he shot down a USAAF P-47 "Thunderbolt" , during operation Bodenplatte. Köhne transferred to III./EJG 2 to undergo conversion training on to the Me 262 jet fighter on 16 April 1945. Walter Köhne was credited with 30 victories. He recorded 12 victories over the Eastern front. Of his 18 victories recorded over the Western front, 15 were four-engine bombers.